Sergio Musmeci studied at University "La Sapienza" in Rome, where he graduated in civil engineering (1948) , and in aeronautical engineering (1953). His professional activity began in the office of Riccardo Morandi and Pier Luigi Nervi. In 1953 he started working with the architect Zenaide Zanini, which later became his wife. 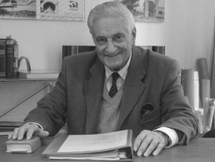 At the Sapienza, he has become a Lecturer in Theoretical Mechanics in the Faculty of Engineering (1957). 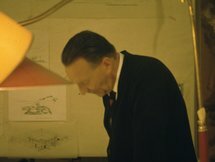 From 1969 he held the teaching of Bridges and Structures Department in the faculty of architecture. 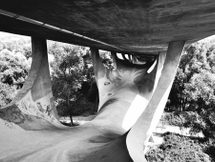 As a designer, he won in 1970 one of six first prizes ex aequo to the international architectural competition organized by ' ANAS for the Strait of Messina Bridge (the plastic in the scale of the project is kept at the MAXXI of Rome). At the beginning of the seventy years of the twentieth century, it has created the Basento Viaduct in Potenza, where he finished his theories of minimal structural.